Situated on the Garonne River, Bordeaux is a picturesque port city renowned for its grand century architecture and award-winning red wine. Whether you wish to explore the spectacular historic attractions of the city, sample the region's famous wine or indulge in both, there's an excellent range of Bordeaux accommodation to suit your travel plans. 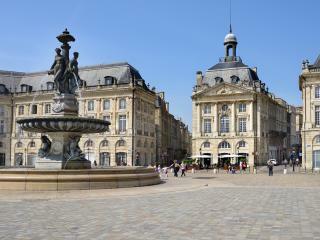 The Victor Louis designed Grand Theatre is a must see on any visit to Bordeaux along with the Cathédrale Saint-André, Basilique Saint-Seurin, magnificent Hôtel de Lalande, Hôtel de Ville, Musée des Arts Décoratifs and the Musée des Beaux-Arts. 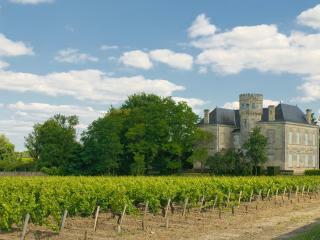 However no visit to Bordeaux is really complete without touring the chateaux and sampling some of the region's world-class wines and regional cuisine.